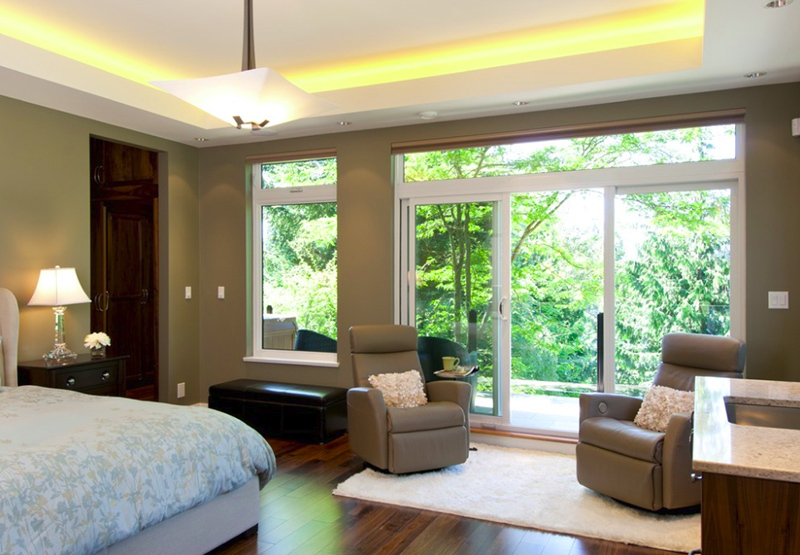 Ever thought of adding a recliner chair in the bedroom? Here are some ideas on how to do it. The thing about recliner chairs is that you can get too comfortable on it while reading or watching TV that is why recliner chairs are usually added in the design scheme for a living room or a bedroom because it is the best locations where people can relax and do recreational activities. Some recliner chairs even are massage chairs too! Well, here are some examples of bedrooms where the client preferred a recliner chair than a regular comfy chair or a bean bag. The bedroom designs in this list vary from contemporary to transitional themes wherein you’d see how flexible the designs of the recliner chairs are and how well they blend in with the spaces and colors of the rooms. Don’t you just love the barn door of this bedroom? For a rather contemporary bedroom, I think adding this barn door is just exceptional! If you may have noticed, the furniture and lines seen in this bedroom is sleek and the barn door just gives this space a rather special feeling. I like how this space looks clean because of the materials and lines used in it. Nothing too harsh for the eyes to look at and has clean and sophisticated lines that made this space contemporary and comfortable plus the view of the outdoors is just splendid! 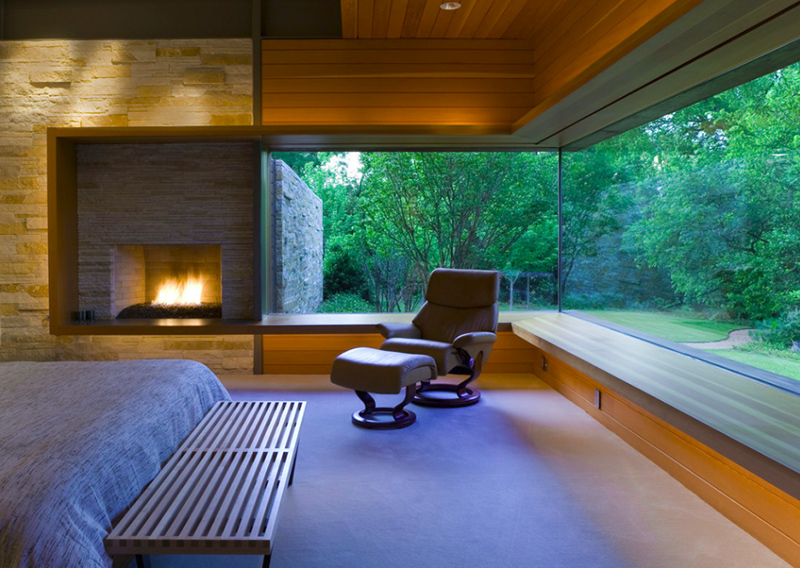 The recliner chairs you see in this bedroom are a regular mid-century design you see in stores. The color of the chairs matches the color of the bed and the side table seen in this photo. The theme is very earthy and natural and like most photos on this list, it is more functional than decorative. 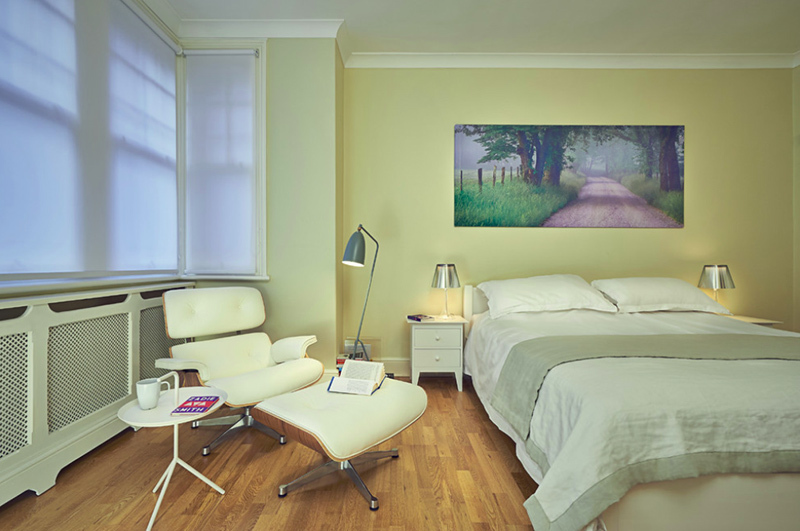 The simple recliner and footrest in this bedroom look like something your dad has in his office. I like black colored chairs, but for accent chairs in the bedrooms, I think it would be prettier if it was is another shade or color. 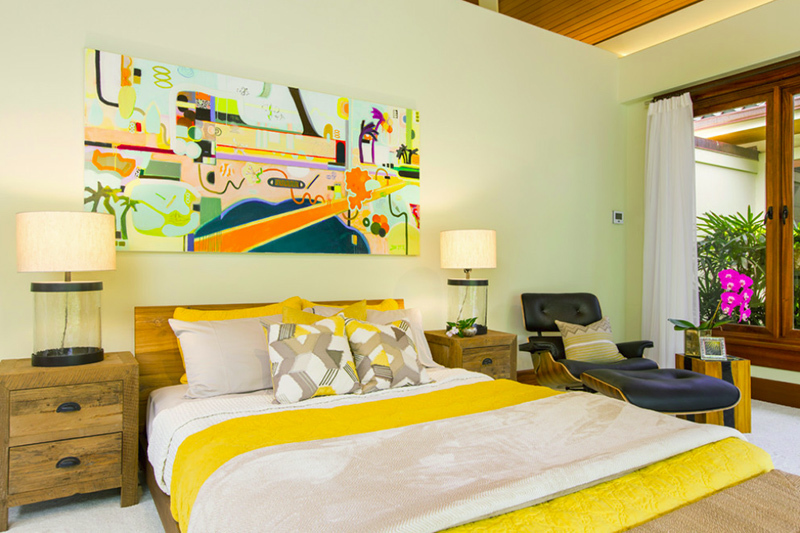 From the name of this project, you can see that the mid-century part of this bedroom is the recliner chair and the new century is basically the other furniture that is more contemporary than the chair. This combination is pretty awesome because it’s like you are mixing two beautiful flowers to make a perfect bouquet. This bedroom was staged to sell the furniture seen in this photo and I think that this is one good inspiration if you are into redecorating your bedrooms. The color combination of the neutrals used in this space is just wonderful, comfortable and homey! The recliner chair by the window is so comfy and this space could pass for a hotel room because of its interior arrangement and that view outdoors. I personally like the choice of materials used in this space and I think anyone who would see this would like it too. I like how there are two recliner chairs added to this bedroom because it sure means that a couple is using this bedroom and both of them can use the recliner chairs at the same time. The view of the outdoors is a plus point for this desert modern home! It is very seldom that I see staged bedrooms without headboards because it sure is a great way to showcase a beautiful bed if it has a stunning or interesting headboard – but then again, this bedroom already looks interesting without it and the addition of a painting above the bed somehow makes up for it. This is a heavenly looking bedroom! The furniture choice is stunning and the materials used for the ceiling, carpet, and walls are just interesting and quite modern! 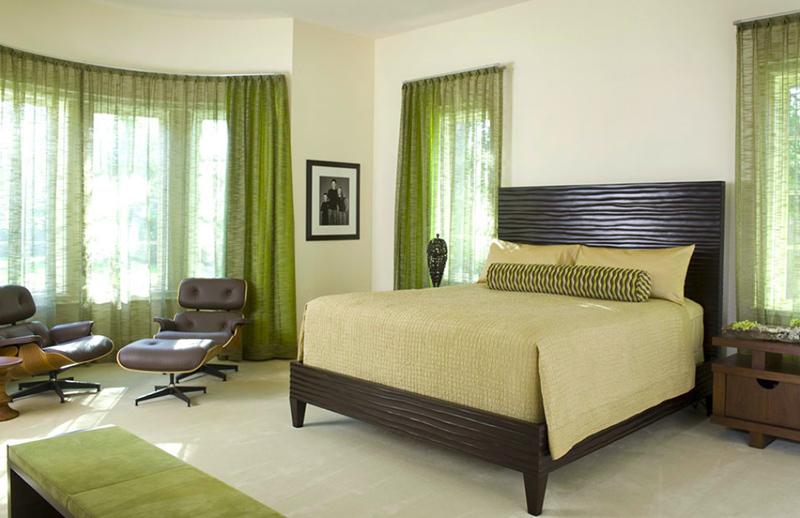 Totally loving this master bedroom from Shubin Donaldson designs. A bit Bohemian, a bit rustic and a bit mid-century – this is one bedroom anyone who loves to read and loves to stay indoors. The cozy look and feel of this bedroom might be my favorite on this list today! I personally love the pieces of furniture and decor added to this space – it’s just so pretty! 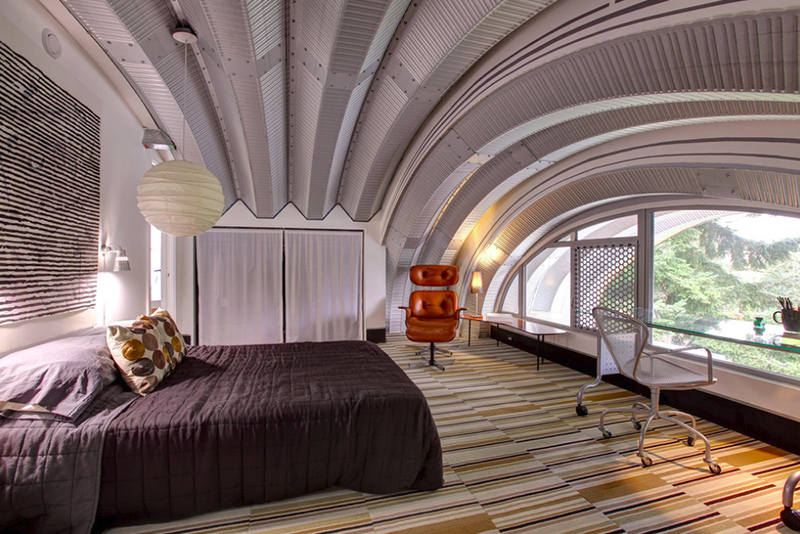 Don’t you just love the dome in this Eyebrow house bedroom? Industrial-themed homes are one of the favorites of designers and young people – it’s artsy, a bit modern and totally interesting. The furniture choice is simple and direct to the point – functional. 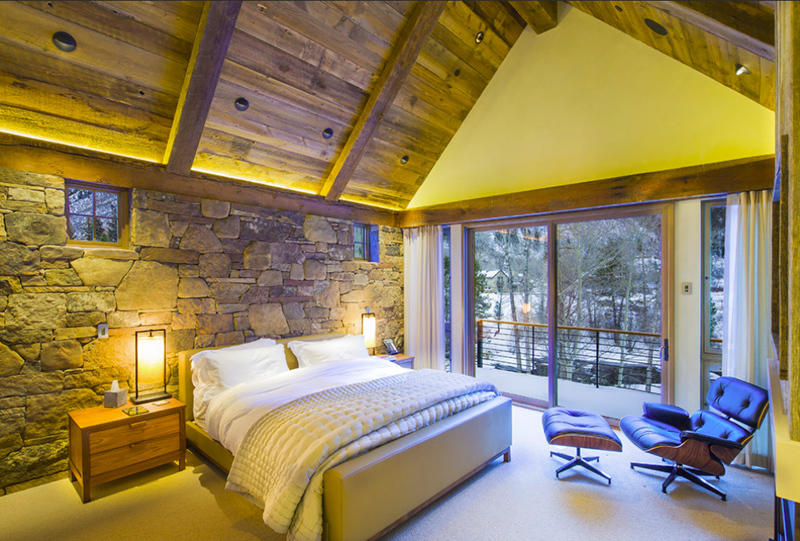 Want to see more bedrooms like this? 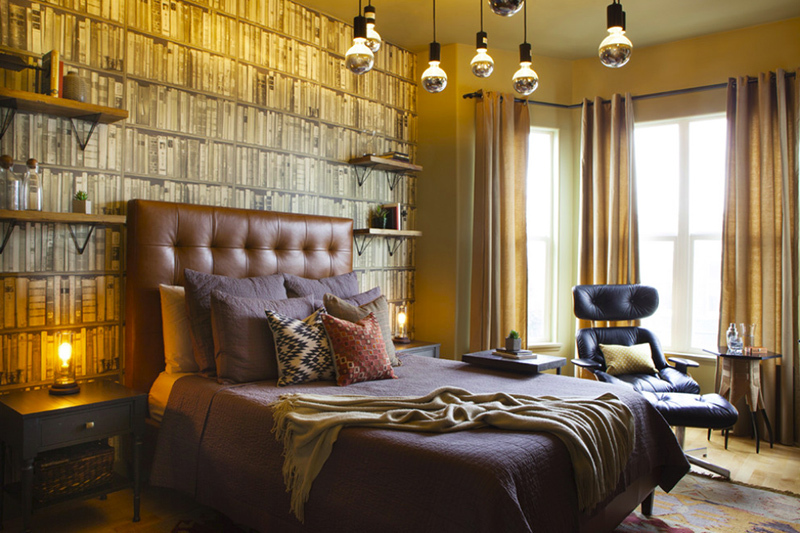 We have an interesting round-up of industrial bedrooms. 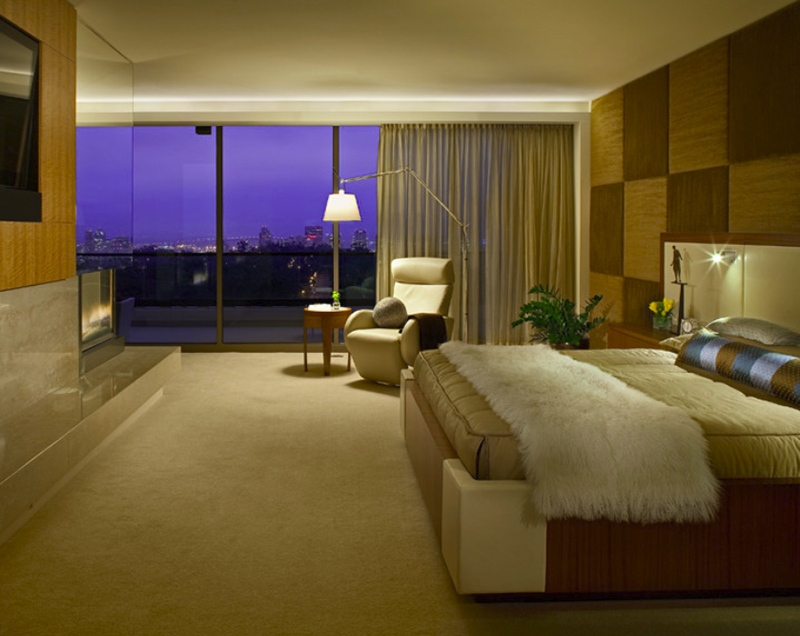 This large bedroom has a beautiful view thanks to the landscape that this home has. 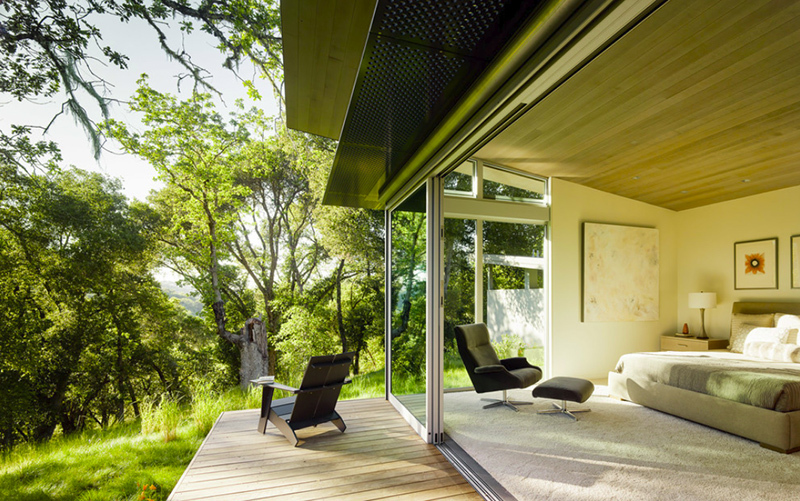 The designer made sure that this landscape would be visible from the bedroom that is why they made sure to add a wall of glass for their window. By the window, a recliner chair was added for times when you want to just sit back and relax. Another mid-century recliner in the lovely Seindenberg house. Its design looks like something you should add to an office but because of all the wood used in this bedroom, this chair just blends right in. A cozy little room which I believe would be loved by anyone who would be using it. 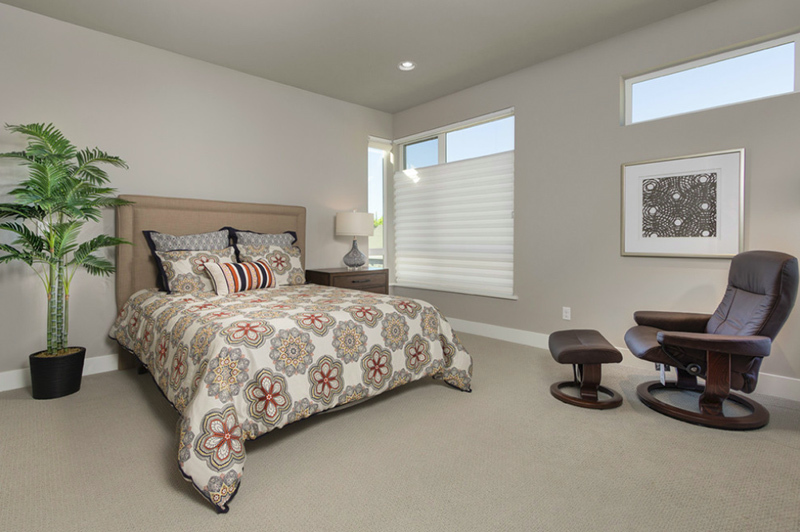 The bed looks comfortable, the furniture is simple but comfy and the view outside is just neat – a total package! This lake house is one stunning home to be in – just look at this bedroom and tell me that you don’t want to sleep in this bedroom! The space is just right for all the things you need inside a bedroom – comfy furniture, a bathroom and maybe even a lavatory outside the bathroom! The look of this bedroom is a bit similar to traditionally designed homes that have a feel of their native land has – like adding quilts, painting or pictures that remind you of your culture and even going for the warm colors the color wheel has to offer. 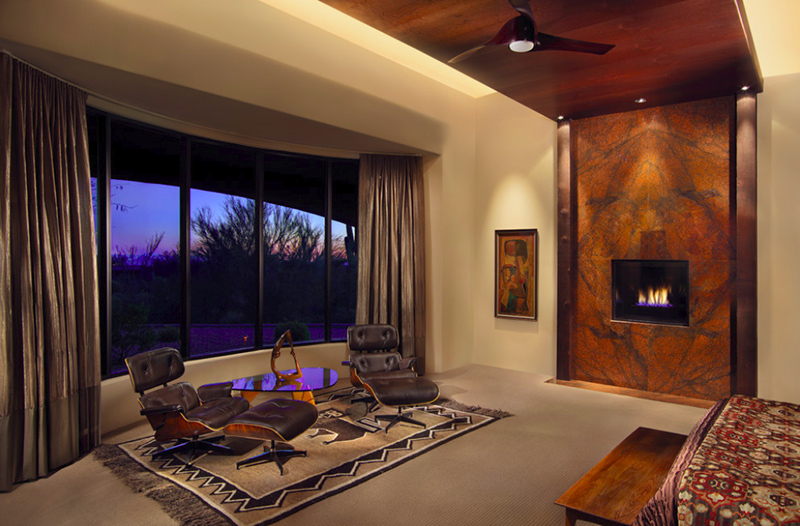 The color of the reclining chair contrasts with the color of the walls, flooring and the ceiling which makes it stand out from the entire room. What’s great about this chair is that it serves as a conversation piece for this space and I think people would love it! To end this list is a bedroom from MCYIA Interiors. This might be the only room in this list with the most color in it – bright ones at least. The painting on the wall looks really nice and modern, and the color choice for the bedding is just nice and fun! The recliner chair on the side complement well with the entire room. If you have similar bedroom designs as the ones you just saw or plan in making something similar to them, this list would be an inspiration to work with. Adding a recliner chair for your spaces could be an option but this is definitely something you can work with. Do check out the 20 Pretty Mid-Century Chairs in the Bedroom and see if something in their interests you too!